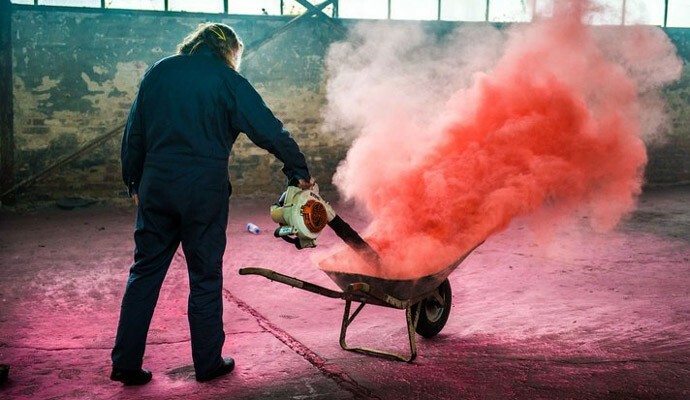 Family is important to notorious art forger Wolfgang Beltracchi. His closest accomplice was his wife Helene and his documentarian is the son of his lawyer, Reinhard Birkenstock. Beltracchi’s best forgeries were not copies of known works, but rather “newly discovered” works from important early Modernists, designed to fill holes in their oeuvres. This was not a new approach to art fraud, but Beltracchi was unusually successful at it. Even now, the art world still does not know how many of his “originals” have penetrated into museums and galleries. The rather unrepentant forger has no intention of revealing those secrets in Arne Birkenstock’s Beltracchi: the Art of Forgery (trailer here), which opens this Wednesday in New York at Film Forum. Thanks to a lenient work release program, the Beltracchis still enjoyed the fruits of their criminal endeavors during the day, puttering around their villa before returning to prison in the evening (supposedly they are employed by a friend’s photography studio). Wolfgang Beltracchi is now required to paint solely under his own name, but he shows Birkenstock how it is done, for old times’ sake. He is happy to explain the process, but plays it coy when asking for specifics on his past forgeries. It is a shame Art of Forgery was not released while the Beltracchis were serving their sentences, because it could have spurred the court to revoke their privileges. Clearly, Birkenstock expects viewers to consider Beltracchi a roguishly jolly Falstaffian fellow, but instead we see someone who always manages to flaunt the rules. Frankly, it is annoying. There are also predictable questions raised regarding the fundamental value of art. Beltracchi and Birkenstock are definitely right about one thing, the current market climate gave experts every incentive to give his forgeries a pass, rather than digging into them with a fine tooth comb. There is no question Art of Forgery would have been a more compelling film if it had taken a more narrative-focused true crime approach, in the tradition of Smash & Grab and The Life and Crimes of Doris Payne. Art and Craft, the documentary profile of the socially awkward forger Mark Landis might be an obvious comparative film, but filmmakers Sam Cullman & Jennifer Grausman give nearly equal time to Landis’s Javert, thereby establishing conflict. Instead, Birkenstock’s film is like one long boasting session for Beltracchi. Between Beltracchi and Landis, it is hard to have confidence in the integrity of any art you might find in most respectable institutions. That is not good for fine art’s place in the wider universe. Beltracchi’s story is indeed fascinating, but Birkenstock never fully tells it, omitting for instance a former business partner’s allegations he burgled their gallery (a nice bit of sensationalism surely worth re-dredging). Unfortunately, Birkenstock is just too thoroughly charmed by his subject. 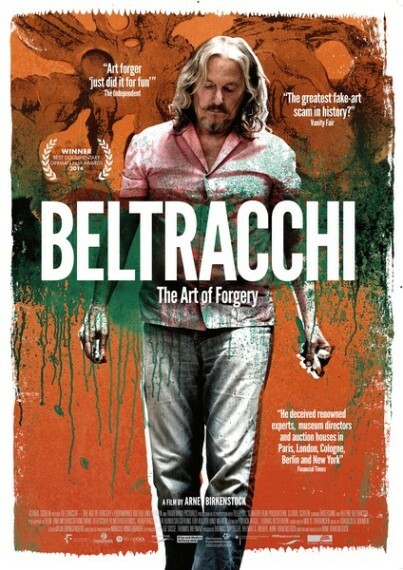 Beltracchi: the Art of Forgery has its intriguing moments, but it is too much like an artist’s working process doc, like Gerhard Richter Painter, which is a tad problematic for a film about a convicted forger. A mixed bag best enjoyed by those who bear a grudge against the established art world, it opens this Wednesday (8/19) at New York’s Film Forum.